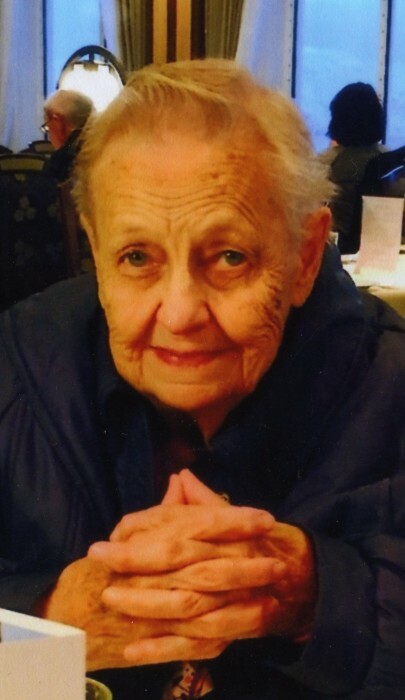 Kathleen “Kat” (Bjork) Landsem, 94, lifetime resident of Chippewa Falls, died Saturday morning, February 2, 2019 at her home on State St.
Kat was born July 26, 1924 at 106 S. State Street, Chippewa Falls, the first child born to Scandinavian immigrants, Karine (Helseth) and Oscar Bjork. When Kat was three years old, the family moved to 110 N. State St., where she was raised. Kat was baptized and confirmed at Our Saviour’s Lutheran Church on east Central Street. She attended Chippewa Falls schools and graduated from Chi-Hi in 1942. She attended vocational schools in Eau Claire and Superior. A true to life “Rosie the Riveter,” Kat worked as a welder at the Globe Shipyards in Superior during WWII. After the war, she returned to Chippewa Falls where she worked for Dettloff Drug Store and the Naborhood Bakery. On December 28, 1946, she married Conrad Landsem. Kat continued to work for Dettloff’s until Conrad bought Johnson’s Grocery Store on east Columbia St. They sold the store after a few years and in 1955, Kat began working at the Northern Center. A natural caregiver, she worked for five years in direct resident care and in supervision of direct care for 27 years. 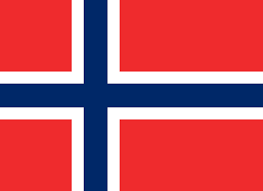 A genuine Norske, (one who actually likes lutefisk), she was proud of her Norwegian heritage and had been to Norway to visit her family home in Trøndheim. Her most recent trip there was at the age of 91! Each Christmas, she made Norwegian delights, including sandbakkels, krumkake, rommegrot, and rosettes. If she wasn’t in the kitchen, Kat was outside in her workshop, where she had her saws, paints, tools and a space heater so she could work all year long! She made hundreds of gifts including bird houses, bird playgrounds, garden ornaments, and other beautiful hand painted décor for family and friends. She also enjoyed traveling; riding her Harley Davidson motorcycle in her younger years, and her scooter and lawnmower in later years; playing cards; doing puzzles; and taking casino trips…some by car, some by plane, sometimes winning, most of the time losing, but always fun! Kat’s life was dedicated to helping others, she took care of and helped her family members during their illnesses. If she or a family member was in the hospital, even the hospital staff knew who was in charge…Kat! And yet she was the most selfless, generous, honest, good-hearted person you’d ever meet. She was quick witted and loved to tell a good story or joke, right up to her last days. Survivors include sisters-in-law, Lorraine, Marge and Joanne Bjork, all of Chippewa Falls, Agnes Larson of Porterville, CA; a brother-in-law, Wilford “Andy” Anderson of Chippewa Falls; many nieces and nephews; good neighbors; and dear friends. She was preceded in death by her parents; her husband, Conrad of 57 years in 2003; five brothers, Kenneth, John, James, Gordon and Elmer Bjork; a sister, Helen Anderson; sisters-in-law, Clara Nelson, Tracy Landsem, Frieda LaVin, Ina Landsem, Margaret Landsem and Esther Balke; brothers-in-law, Norman, Even and Helmer Landsem; a niece, Susan Bjork; and a nephew, David Bjork. A funeral service will be 11 a.m., Saturday, February 9 at Pederson-Volker Funeral Chapel, Chippewa Falls with the Rev. Terri Koca officiating. Burial will follow at Forest Hill Cemetery, Chippewa Falls. Kat always joked about how she was born on State St., raised on State St., lived on State St., and will be buried on State St.
Visitation will be held one hour prior to the service Saturday at the funeral chapel. In lieu of flowers, memorials in Kat’s honor may be made to the Chippewa County Humane Association, Chippewa Falls Historical Society or to Irvine Park.